Well, we now on the flight sadly leaving China! 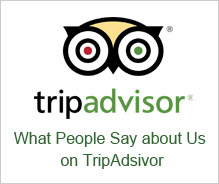 I want to say a big thank you for your professional assistance in putting together a tour that was very comprehensive yet was not rushed, and suited our needs perfectly. Business clients from South Africa thanked us for our fantastic travel service during their trip to Shenzhen and Hong Kong in the middle of November, 2011. I would like to say Thank You for the last minute arrangements for my husband Kitesh and his partner Prega. You were fantastic and the service was really greatJ. Thanks a million. I am just about to board my flight back to Dubai and wanted to take this opportunity to thank you very much for arranging such and amazing trip. Everything was perfect. The choice of hotels was especially great, both in terms of comfort as well as location.